Welcome to K Smart Sign online! 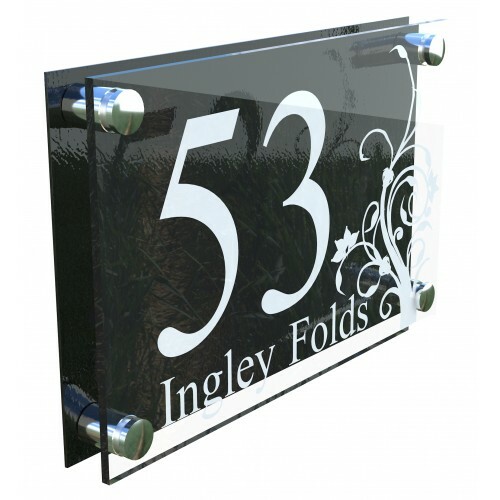 The Decorative A4 sign is a beautiful 2 piece sign constructed of Premium GENUINE PERSPEX® (Not cheap acrylic!) and a Galvanised steel coated backplate. Both of which are impervious to the extreme elements for upto 15 years. We have signs on hotels in Dubai and on sea fronted dwellings in Northern Scotland! This product comes with a complete fitting kit. Our fittings are machined from Stainless Steel (304 Stainless) and will not rust like cheaper mild steel alternatives. 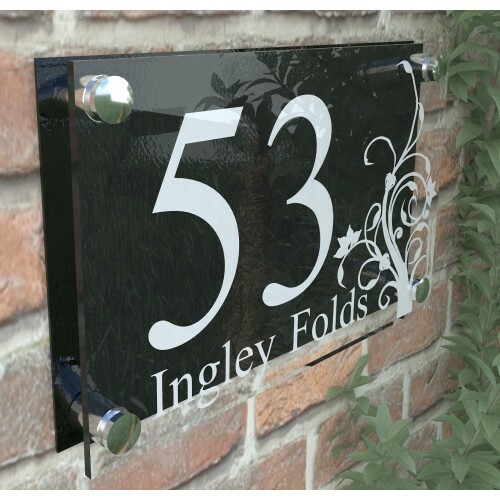 To order this sign simply ENTER what details you want to appear on the sign. You can have up-to 3 lines of text! The sign will appear EXACTLY how it is in this image (with your details)! You will note that we don’t have an online design preview. This is due to the application that we could design being slightly different on each users device. For example viewing the design on an ipad would be completely different from that on a smart phone and then different to a windows laptop etc. There are hundreds of devices and ultimately what you see on screen would not be as it arrives with you. 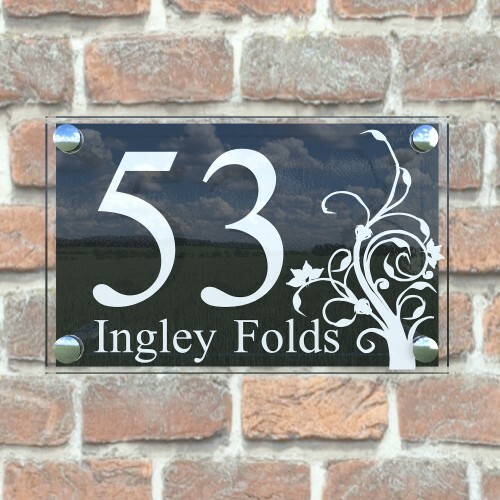 Each and every one of our signs is designed by an "K Smart Artwork Specialist" If you have just a number it will be centralised and proportionally sized to fit the sign perfectly, if you order 3 lines of text, again, it will be designed so that it is the best possible layout and all sized to be centralised etc. Please rest assure that each and every sign that leaves is designed by an artwork specialist! All you will need to fit this product is a pencil, drill and a small cross headed screwdriver. If this sign is not to your style please don't order and request a font and colour change. 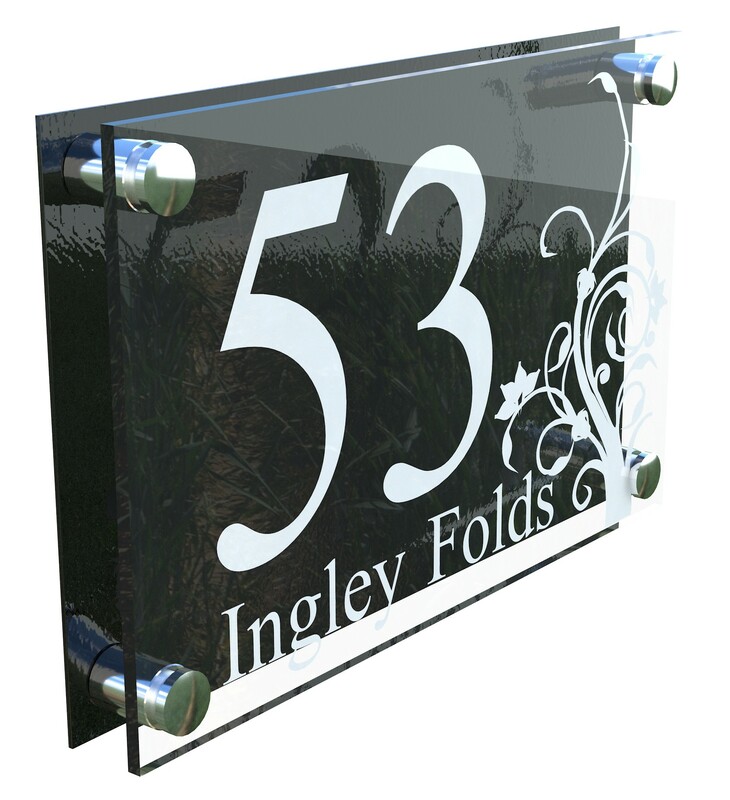 Our site is setup with hundreds of sign styles each a little different from the other. You will be sure to find the exact sign you want by searching. We have added sign filters in the search box so you can search for the sign you want with ease. However if you can't find the sign you need please drop us an email.